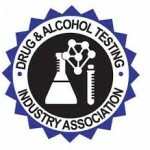 As mandated by the Drug-Free Workplace Act of 1988 all organizations that receive a single federal grant of more than $100,000 must drug test all employees involved in any activities related to the grant. That said, if an organization receives several federal grants that amount to $100,000 or more they are not required to adhere to the act. The requirement is very specific in that only organizations that receive a single grant of $100,000 or more are required to participate. California also has its own drug-free workplace act that mandates that all entities that procure any property or services from any state agency ensure that their operation is done by ensuring all employees are drug tested before being hired. Setup your own Drug-Free Workplace here. The Medical Review Officer (MRO) process was first developed by the U.S. Department of Transportation to provide a level of safety and confidentiality between the employer who required a urine drug screen test and the employee who was required to submit to the test. Although established originally for the federally regulated testing programs, the MRO process has been widely embraced by the private sector and is now considered essential to all quality drug testing programs. In the MRO process, an MRO receives drug test results from the laboratory, reviews the results and evaluates the validity of the result. If the result is positive, the MRO determines whether there is a legitimate medical reason for the test to be positive. An example is the appropriate use of prescription medication that can legitimately result in a positive drug test. Based on the review, the results are verified and reported as "Positive", "Negative", "Adulterated", "Substituted", or "Canceled/Invalid/No-Test". The employer then takes action according to internal company policy, federal requirements or both. Medical Review Officer services are provided by a licensed physician specializing in addiction medicine. Services include the interpretation and evaluation of test results from confirmed positive, adulterated and substituted specimens in addition to the employee's medical history or other relevant biomedical information necessary to determine if there is a legitimate explanation for a confirmed positive test.